Home » Category archives "Marketing"
Building an online presence is crucial to the success of any contemporary business. From a website to social media, the modern business must create a solid web presence to keep up with today’s most common method of new business acquisition: the Internet. Search engines are certainly the most popular method for potential new customers to find local businesses, and Google is chief among them. Millions of business owners now look to Google My Business, the analytics and social media software developed to influence Google search results, to attract and retain customers. Google My Business aims to frequently improve the properties it offers to users, and has continued its usefulness with several recent developments, including new insights, accelerated mobile pages (AMPs), and an “explore interests” feature, among others. Key features of the new insights tool tell a business owner whether his or her listing is being viewed through Google Search or Google Maps and whether customers view the listing by searching for the business name (specific search) or by a category or related keyword (general search). An additional update removes Google Plus statistics from the insights panels. Accelerated mobile pages (AMPs) optimize web content for mobile devices. 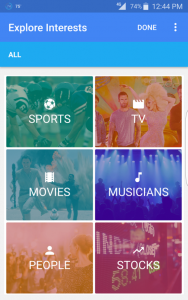 They remove unnecessary resources, which in turn allows a mobile browser to provide a more fluid user experience. Google has announced that AMPs will be immigrating to Google’s main search results, thus increasing a company’s chances of acquiring organic traffic (versus traffic acquired from paid advertising). Google’s projected “Explore Interests” feature would allow Google users to browse categories which appeal to them, such as music, shopping, food and drink, or sports. This feature can help drive more traffic to your company’s website by offering readers the relevant content in which they show interest. Search engines are an essential tool for businesses in today’s modern marketplace, and utilizing Google as a means to increase traffic, and therefore sales, is a good business practice. Although a well-rounded web presence is critical for the success of today’s business, but it can be overwhelming and sometimes difficult to navigate. The Public Relations and Marketing Group offers expert web development, marketing, advertising, public relations and social media management solutions to help your company compete in a 21st-century marketplace. To learn more or for a free consultation, please contact us at 631-207-1057, or visit our website at www.theprmg.com. Last month’s Google Performance Summit in San Francisco, CA, revealed a number of changes to Google’s AdWords and Analytics tools. Some of the highlights of Google’s summit included the development of “Promoted Pins” in Google Maps, changes in ad bidding and a new appearance for ads in search results. All of these developments reveal that Google is moving forward into the mobile-first era while continuing to handle trillions of searches every year. Google announced that its Maps service will soon include a new generation of localized ads, as well as “promoted pins” featuring local businesses. They note, “Nearly one-third of all mobile searches are related to location,” revealing that “people’s online and offline worlds are colliding.” Since locally-based mobile searches are growing, this is a tremendous opportunity for organizations to integrate their advertisements into the stream of their followers’ lives and to show them that they are located nearby. Changes to AdWords bidding will now allow customization based on the platform of choice – desktop, tablet, or mobile. Again this change is driven by Google’s commitment to pursue a “mobile-first” approach to advertising. The increased customization capabilities for AdWords bidding will allow businesses to optimize their marketing for whichever platform drives the greatest response and, ultimately, to reach customers more effectively. Finally, the “mobile-first” approach to advertising has led Google to reformat the way search results appear to favor mobile platforms. This follows Google’s decision earlier this spring to remove right-hand ads from desktop search results. Expanded-text ads and new responsiveness features in mobile displays further contribute to the versatility and appeal of Google’s world-leading ads program. Google has published some very helpful information about how mobile searches connect customers to physical businesses. Of course, Google’s search and advertising capabilities have revolutionized the face of marketing in the digital age, and their shift toward a “mobile-first” approach means they are continuing to have influence in this area. The call for professionals in this ever-changing media environment is clear: as Google notes, “accounting for mobile and designing for mobile-first are two very different things.” Mobile advertising and search capabilities offer a promising way to bridge the gap between cyberspace and physical space, as the content users see online pushes them to visit physical locations. The Public Relations and Marketing Group, LLC (PRMG) is a full-service public relations, marketing and digital advertising agency. A Certified Google Partner, PRMG is dedicated to helping organizations and professionals drive client outreach through strategies like mobile-first marketing. If you are interested in any of the services we offer, please contact us at info@thePRMG.com or 631-207-1057 for a free consultation. Facebook CEO Mark Zuckerberg announced last fall that the social media site would feature a new “dislike” option following the more than six-year success of its “like” button. “Reactions”, a limited new feature which allows users to express themselves with additional emoticons “Love,” “Haha,” “Yay,” “Wow,” “Sad,” and “Angry,” was introduced as a means to convey empathy for friends and family, but will also be used to show irritation or discontent with brands and business with an online presence. Social media has a huge impact on business success, evolving into a new – and permanent – word of mouth. In the age of online reviews, where any imperfect interaction can result in very loud discontent, businesses need to be very aware of what their consumers are thinking and feeling – particularly with regard to their product. Reactions, which is still in development with test-users based in Spain and Ireland, will provide consumers a “dislike” option when implemented. Though potentially dangerous for business, this feedback option will help companies respond to consumer complaints in real-time, ultimately upping their public status and their sales. The problem with catch-all negative options “Sad” or “Angry” is that it will be difficult for companies to parse why their consumers are unhappy. Luckily Facebook’s comments option is increasingly popular and can be utilized to voice complaints or concerns. With the combination of a dislike and an explanatory comment, businesses know what is working and what to re-evaluate. This direct consumer-to-brand communication is key to consumer happiness as long as businesses are responsive and follow through on the feedback they receive. Seventy-two percent of people who complain on social media platforms expect a response within one hour, according to a study by Lithium Technologies. If companies aren’t regularly monitoring their social media, this could be colossally damaging to their public reputation. But it works both ways; according to a study from the London School of Economics and the Listening Company, a seven-point increase in word of mouth advocacy can increase revenue by one percent. When a business understands its customers’ wants and needs, it prospers. Studies show emotion is the number one factor in customer loyalty, which explains why sentimental commercials generally do better than commercials that don’t elicit emotion. 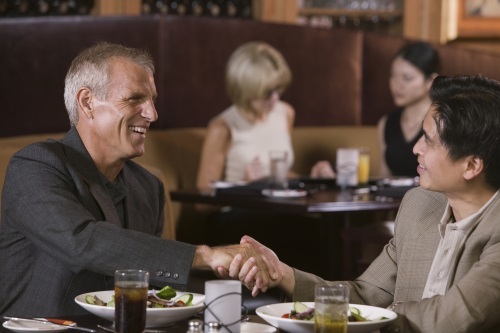 Businesses that understand and reflect empathy are more competitive and more successful. If you are able to respond quickly and adapt accordingly, having a dislike button on a social media giant like Facebook will have a more positive than harmful effect on your business. The consumer is the focus of any advertising excursion and should be treated as such. With the consumer in mind, develop context, content and commerce for your product and, along with the final product, convergence will come across many platforms. Today’s consumer is connected, informed and vocal on social networks. Most importantly, the consumer is more likely to stay loyal to a company because of the feelings that the ads exude. Advertising should be centered around the consumer’s frame of mind, playing intelligently off emotions, wants, needs and personality. No ad is effective without taking context into consideration – saying the right thing at the right time is crucial to your brand. Make sure you’re paying attention to current events. You may want to pull commercials featuring an airplane, for instance, if a major airline crash is all over the news. Content must be relevant to context and consumer. Since it can be easily manipulated and needs to be focused, content is the single most influential aspect of digital marketing. Anticipating a consumer’s needs is the crux of commerce. If your target audience is millennials, easy online access and quick shipping should be priorities. If baby boomers are your primary customers, long-lasting quality products for a low price are best. Do you carry a specialty item, or can the consumer go to a local store and purchase it? What makes your product better than a less expensive alternative? Younger generations feverishly research several products before deciding on one, while older people may buy one product on-site because of the brand. Cater your priorities to what the target audience wants and how they will seek it out. For your business to succeed, you need to establish consistency in audience communication, product quality and digital presentation. Instead of being hip for joining Facebook, your company looks careless because it doesn’t regularly update the profile. You might have a fabulous product, but your grumpy customer service staff turns consumers off. Be sure you are consistent with how you present both the company and the product. Above all, be willing to change. With a vast and ferociously changing consumer palette, you need to stay relevant to be successful. Keep the consumer at the center. Write and exhibit consistent, relevant content and anticipate your audience’s needs. These are the steps to success. 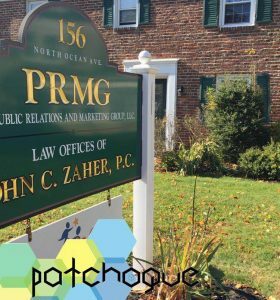 The Public Relations and Marketing Group, LLC (PRMG) is a full-service public relations and marketing agency based in Patchogue, New York. PRMG is dedicated to helping businesses, professionals, non-profit organizations, government entities, attorneys and law firms leverage their time, talents and resources by using effective public relations and marketing techniques, as well as advertising, graphic design, website design and development, digital video production, search engine optimization (SEO) and social media tactics. For more marketing advice, please call (631)-207-1057 or visit www.theprmg.com.